Part-Time Entry Level Graphic Designer, Writer, and Web Specialist – Position Closed | Upper Peninsula of Michigan Radio - Yooper News, Interviews, Pictures, and Calendar of Events - Great Lakes Radio, Inc.
You’re good with Photoshop, with Illustrator, but still you can’t find a job in your chosen field – Why not? Because entry level graphic design jobs, writing positions, and web page positions are few and far between in the legitimate work world. And the competition for jobs is also intense in these fields. 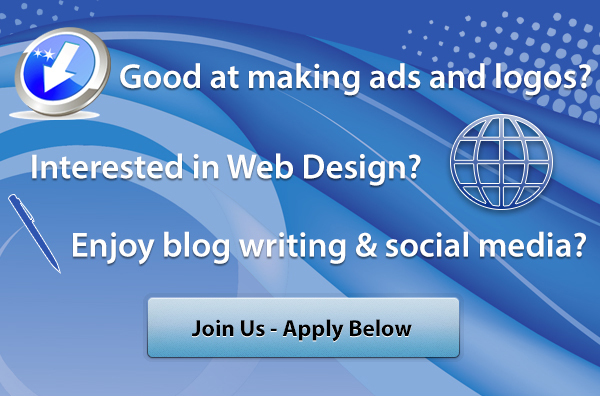 With the growing need of New Media by our clients we have a huge demand for graphic and web design skills. However, we realize training is necessary to accomplish our company and clients goals so we are offering an entry level position with lots of on the job training. Your designs could be seen over 2 million times each month on our network of sites – plus on all of the printed materials we produce. To put your knowledge to work; send your resume and samples to Great Lakes Radio, Inc. at employment@broadcasteverywhere.com – An Equal Opportunity Employer. Ability to write effectively, with impact for the intended audience. Candidate should be comfortable with online activities, including but not limited to online sales (eBay, Craig’s list, PayPal etc), social networking (Facebook, Twitter, etc.) and blogging. We provide training for most tasks, but your key to success is the ability to learn and apply the new skills on your own. The ability to succeed in trying situations. Updating of Social Networking/Bookmarking Sites like Facebook, Twitter, and so on. A flexible mind, honesty, attention to details, great attitude, positive interaction with customers, clients and salespeople are very important qualities for the successful candidate. Being willing and able to learn new skills, apply them successfully, and work in a highly challenging, multi-tasking environment are also extremely important qualities the successful candidate will possess. A drivers license and a clean driving record. Those with specialized skills, experience or interests may find additional opportunities to participate in on-air shifts, sports, sales and marketing. Great Lakes Radio, Inc. is an Equal Opportunity Employer. Please send your resume to employment@broadcasteverywhere.com or Employment, C/O Great Lakes Radio, Inc. 3060 U.S. 41 West, Marquette, MI 49855. Great Lakes Radio, Inc. (WKQS 101.9, WFXD 103.3, WRUP 98.3, WRPP 92.7, WQXO AM 1400, GTO.fm 97.5, FOX Sports Marquette 105.1 – 99.9, the Gift 106.1) is an Equal Opportunity Employer.